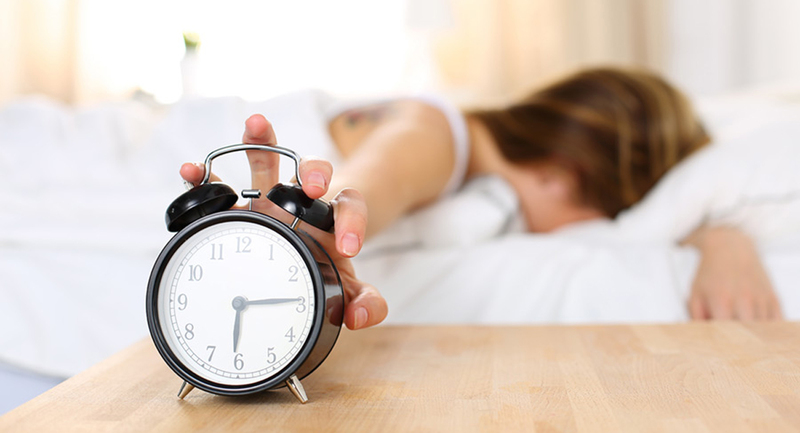 Over the past few decades, both sleep quality and quantity has declined. A good sleep is just as important as regular exercise and a healthy diet. Research shows that poor sleep has immediate negative effects on your hormones, exercise performance and brain function. For both adults and children, it can cause weight gain and increase disease risk. In exchange, good sleep can help you be more focused and healthier. Natural sunlight during the day improve daytime energy, as well as nighttime sleep quality and duration. In patients with insomnia, daytime bright light exposure improved sleep quality. It also reduced the time it took to fall asleep by 83%. * However, even if you don’t have insomnia, daily light exposure will most likely help improve your sleep. When consumed late in the day, caffeine stimulates nervous system and stop your body to relax. Many studies show that it significantly affects the quality of sleep when consumed up to 6 hours before. Caffeine can stay in the blood for 6-8 hours. Therefore, we recommend you not to drink large amounts of coffee after 3-4 pm, especially if you are caffeine sensitive or have trouble sleeping. If you do crave a cup of coffee in the late afternoon or evening, then stick with decaffeinated coffee. The bedroom environment and its setup are the key factors in getting a good night’s sleep. The temperature, noise, furniture choice and arrangement, external lights are very important. Increased body and bedroom temperature can decrease sleep quality even more than external noise and increase wakefulness. Around 20 Celsius degrees seems to be a comfortable temperature for most people, although it always depends on your preferences. For a better night’s sleep, try to minimizing the sources of light and external noise and adjust the temperature. Make sure your bedroom is a quiet, relaxing, clean and enjoyable place. Many people have a pre-sleep routine that helps them relax. You can choose a massage, listen to music or take a hot and relaxing bath, read a book or just do some breathing exercises. There are many strategies you can choose, just pick the one you like. Exercise is one of the best way to improve health and sleep quality. For patients with severe insomnia, exercise provided more benefits than most drugs, reduced time to fall asleep by 55%, anxiety by 15% and increased total sleep time by 18%. ** But, although daily exercise is key for a good night sleep, performing it too late in the evening may also cause problems falling asleep. This is due to the stimulatory effect of exercise, which increases alertness and adrenaline level.